There are hundreds of debt consolidation companies across the country. Unfortunately, not all of them are trustworthy. Some debt consolidation companies are scams that take advantage of people desperate to get out of debt. This means it’s important to learn how to differentiate between a trustworthy debt consolidation company and an unethical one. Generally speaking, there are certain qualities that separate a trustworthy debt consolidation company from a swindle. Here are some of the qualities of a trustworthy debt consolidation company. A quality debt settlement or debt consolidation company will work to attain standards that will qualify it for professional affiliations. Some of the organizations that such a company would want to be affiliated with include the Association of Settlement Companies, International Association of Debt Arbitrators and the United States Organization for Bankruptcy Alternatives. If you contact a debt settlement company and find that it is affiliated with some of these organizations or with any other professional organizations, it should be trustworthy. On the other hand, if it is not affiliated with any professional organization, this could be a sign that it is not as trustworthy as it might claim to be. If you find that a debt consolidation company is charging a huge amount for its services, consider searching for a cheaper alternative. Some of consolidation companies will sense your vulnerability and take advantage of you. Also, if a company is charging an upfront fee for consultation, chances are that the company is a rip-off. The best debt consolidation and debt settlement companies don’t charge consultation fees. Finally, you should avoid companies that charge high maintenance fees. Always remember that the main reason for approaching a debt settlement or a debt consolidation company is to get out of debt as soon as possible. It just doesn’t make sense to pay a large amount of money for its services. 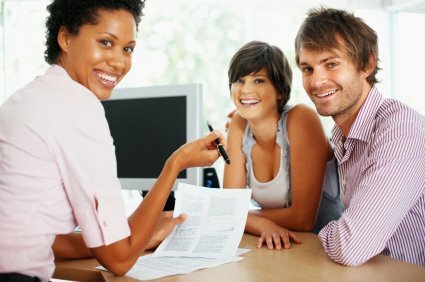 A reputable debt consolidation company will have hundreds of positive customer reviews. You should stay away from companies that have a lot of negative customer reviews. You can check the company’s rating on the website of the BBB (Better Business Bureau). If the company has had complaints from its customers, you will find them there. As the saying goes, “old is gold”. This means that if company has been in business for many years, it should be reliable and trustworthy. On the other hand, if it is fairly new in the industry, it will not have much of a track record and it might be best to avoid it. There are thousands of people who have problems with debt. Each person’s situation is different. One person could use debt consolidation to get out of debt, while another might choose debt settlement. A legitimate company will take time to learn your specific situation and advise you accordingly. If your situation is special, it will provide free financial advice. If you feel the company is trying to rush you into signing its contract, take that as a warning that the company may be a scam. Established companies usually offer free workshops aimed at educating people on the importance of budgeting, saving and spending money wisely. The company uses these workshops to promote its services. If a company does offer free workshops, chances are that it’s legitimate. These are the main qualities of a trustworthy debt consolidation company. The same qualities generally apply to debt settlement companies.